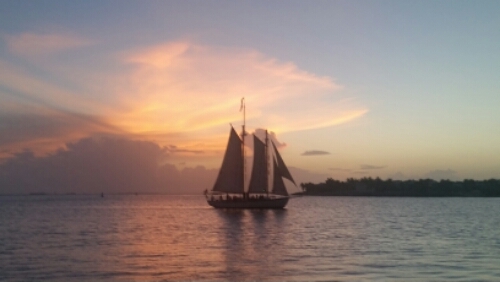 Scratch one more item off my bucket list as I was able to witness my first Mallory Square sunset in Key West yesterday. It was a little cloudy but as the sun dipped closer to the horizon, its rays lit up the clouds and they took on an orange and pink glow. The next thing I knew, I was craving cotton candy as the clouds started to resemble every fair goers favorite tasty treat and every dentist’s worse nightmare.